The Peoples Institute was established on Nelson Street in 1872 by members of different Christian faiths in Rusholme. 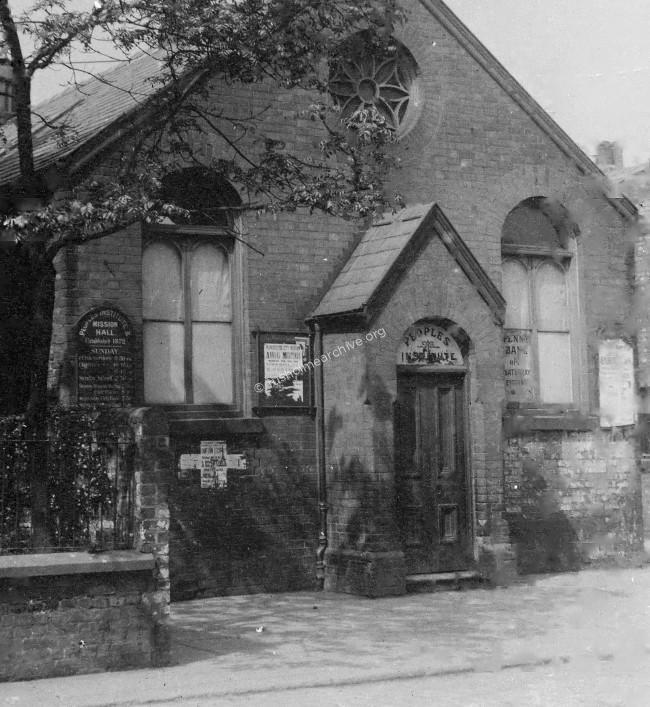 The 'Peoples Institute' served as a Mission Hall for religious services, to provide educational and recreational facilities and where the first 'Boys Club' in Manchester was based. In the photograph of the Hall is a notice in the window stating that the 'Penny Bank' was open on Saturday mornings. We want to emphasize the grave fact that here, close to a wealthy neighbourhood, there are back streets and courts, the houses of which violate all the conditions of healthy and decent living, and the inmates of which need all the ministry of help, in every form, just as much as in any of the slums in the city; and we here ask if it is not time, while making the Gospel of Christ our sheet anchor, to take note of the social and sanitary side of the question in regard to the district? 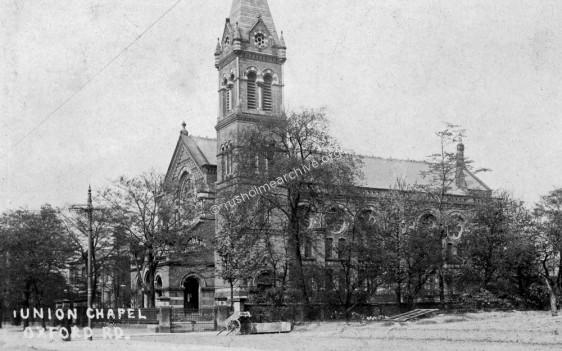 ''In 1872, a mission was begun in "Rusholme," chiefly staffed and supported by the Union Chapel congregation. This was the nucleus of what is now known as the McLaren Memorial Hall. At the beginning the very centre of the work (and it continues to this day) was the meeting for women held on the Monday afternoons. 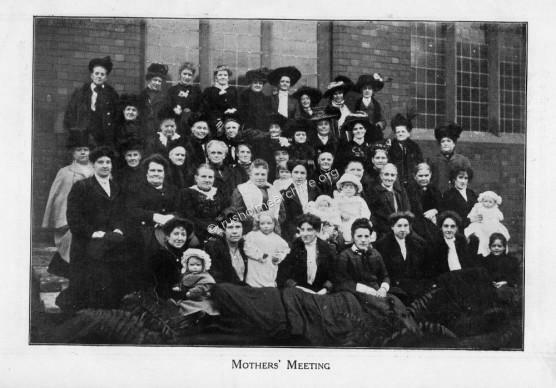 The name "Mothers' Meeting" was comparatively new in 1870, and it was with some doubt as to the desirability of bringing women away from their homes that it was begun, but it proved a success. When the campaign started to raise money for the new building, William Royle who was Chairman of the Buildings Committee wrote to the Manchester Guardian and in his appeal for financial help from Guardian readers he made the following comments. ''There is urgent need in Rusholme for the proposed new 'Peoples Institute'. I have been connected with the present small building since its erection over 37 years ago. During the whole of that time it has been a hive of social and religious Industry right in the midst of the working classes and has been of incalculable benefit to the poor of Rusholme. 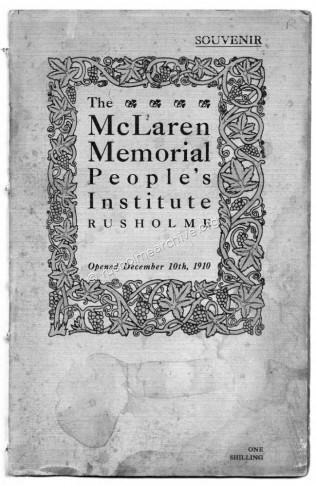 The new hall was named the McLaren Memorial Peoples Institute and finally opened on December 10th 1910.A souvenir booklet was published, (price one shilling) and this contains a detailed history of the People’s Institute together with a number of interesting photographs. The Manchester Central Library has a copy of this booklet in their Archives and I should like to express my appreciation to the Library for allowing rusholmearchive.org to show this document in PDF format. Click on the link below to read the 1910 Souvenir Booklet. The Rev. 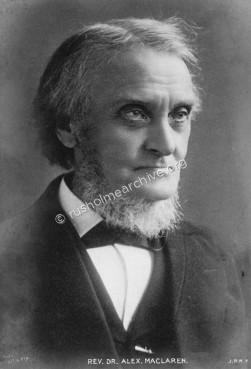 Alexander McLaren, (1826 - 1910), was considered one of the most important preachers in the country. He served in Manchester at the Union Chapel, Oxford Road for a total of 45 years, from 1858 until 1903. The photograph above of the Rev. McLaren was taken by Elliott & Fry, a London company founded in 1863 by Joseph John Elliott and Clarence Edmund Fry. The firm's core business was taking and publishing photographs of the Victorian public and social, artistic, scientific and political luminaries. 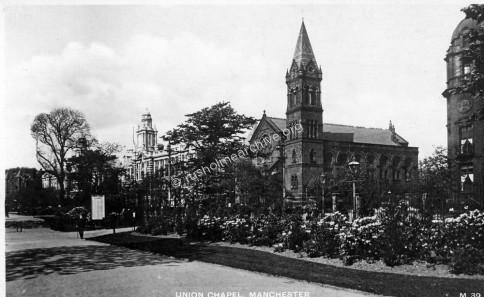 The last service was in 1939, the chapel being purchased by Manchester Royal Infirmary so that the hospital could be enlarged. The war delayed these plans and the Chapel was finally demolished in 1950. 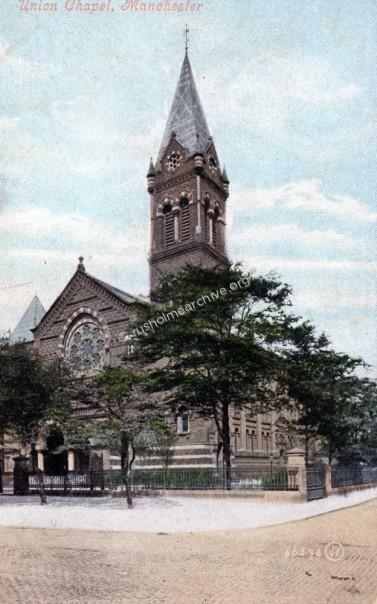 The Sunday and mid-week sermons by the Rev McLaren drew a packed and influential congregation including bankers, merchants, and manufacturers, MPs, writers, artists, students and fellow ministers, artisans, and clerks. The newly built McLaren Hall in Nelson Street, Rusholme continued in use to until the mid 1960s and is now being used as a Mosque. The photograph at the top of this page of the Peoples Institute was taken by a Rusholme photographer, Albert Meakes of Victoria Street. He was in business there from 1897 until 1913.